Are Atheists Liberal or Conservative? 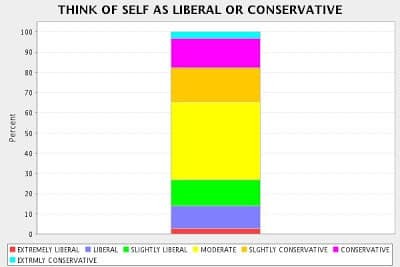 The stereotype of the liberal atheist becomes untenable when it is conversely assumed that because there is a good chance atheists are leftists, there is similarly a good chance that liberals are atheists. 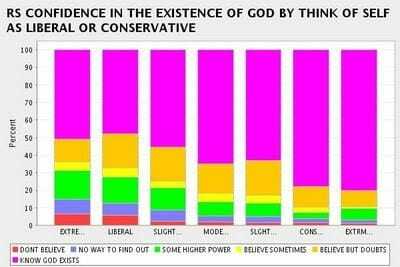 In the US, theism continues to be the dominant position across the political spectrum. Fewer than 3% of those on the liberal side of the political spectrum describe themselves as atheists. Eight percent are agnostic, while an overwhelming 89% are theistic.